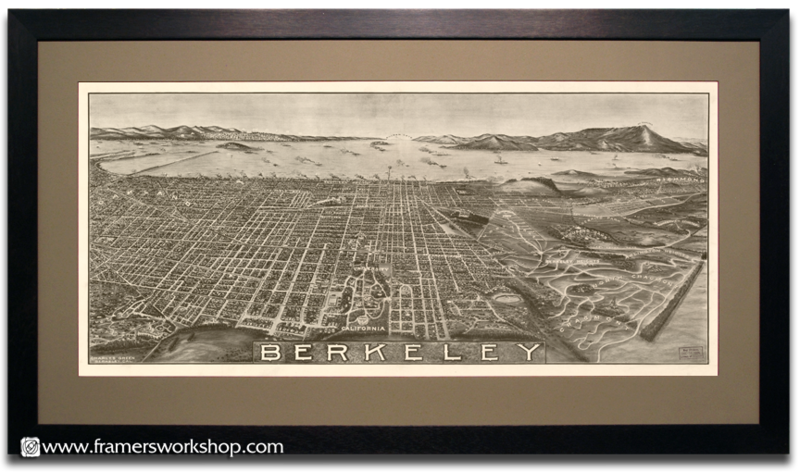 This charming reproduction of a hand-drawn panorama of Berkeley and the San Francisco Bay is a reminder of how much has changed in only 100 years. 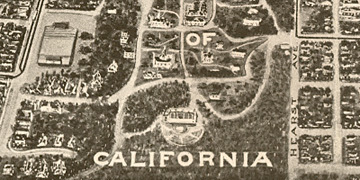 The artist is Charles Green, of the architectural firm Green and Green whose "ulitmate bungalows" became prime examples of The American Arts and Crafts Movement. 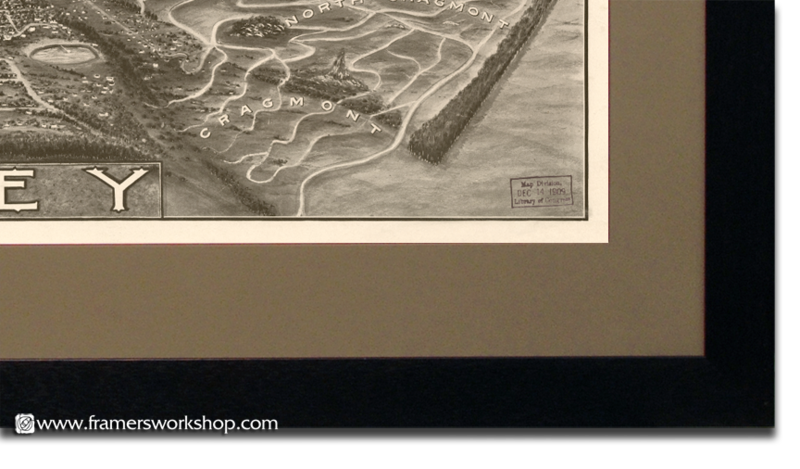 We reproduce this beautifully restored antique map on demand, up to 52" long, on high quality Epson acid-free matt paper. You can purchase the print only or, if you choose to have it framed, we'll give you 20% off the regular framing price. The framed example below is a 36" print, $475 with wood frame, UV protective glass or acrylic, and acid-free solid-core rag matt and backing.